Get Mee campanula (Campanula portenschlagiana) is a small, perennial flowering plant that is hardy to USDA zones 3 to 8. The Get Mee variety is one of the more hardy of the species. Blooming from July to September, the Get Mee provides purple or white, star-shaped flowers to attract bees and butterflies into the garden. Get Mee is a versatile campanula that is generally grown as a ground cover but also thrives in tight spaces, rock gardens, and adds a shot of color to a mixed flower hanging basket. Get Mee is easy to care for, grows fast and will spread. Grow your campanula in an area that gets bright but filtered sunlight--perhaps under the eaves of the house or the canopy of a tree. Ensure that the soil in which the campanula is planted drains quickly. Although the plant is tolerant of a wide range of soil textures and pH, the roots should not sit in water. 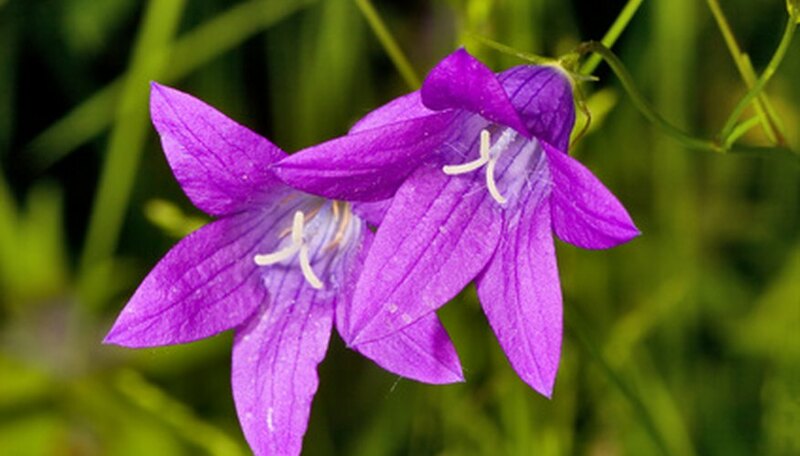 Water the campanula to keep the soil moist but not soggy. Fertilize the Get Mee campanula in mid-spring with an all-purpose fertilizer, according to the rate listed on the package. Deadhead the plant frequently to keep it in bloom. This involves pinching off or cutting dead and dying blooms.